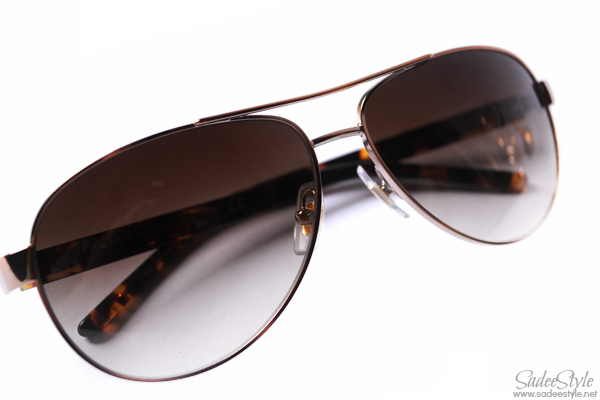 I've chosen a Ralph Lauren aviator Sunglasses shop when sunglassesshop.uk asked me to review their sunglasses range. 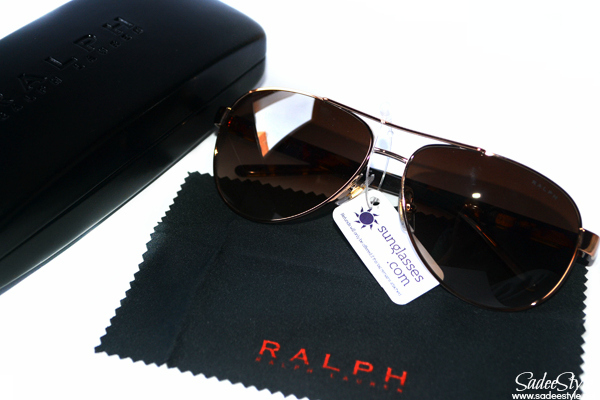 In addition, I have been offered a Vogue and Ralph Sunglasses, I immediately picked up Ralph's aviator model no 4004. This model was available in three beautiful colours ivory, silver and brown. I picked up brown one. Although I'm not a brand snob and not a crazy about Designer Sunglasses, but since its summer here we need trusted sunglasses that look stylish and protect us from heat and sun burn at a same time. 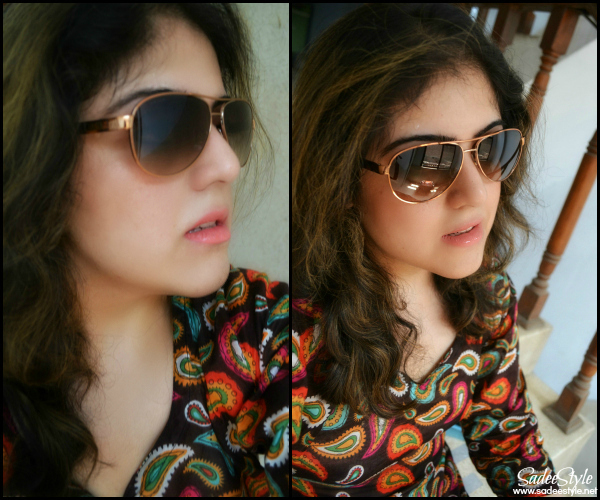 Ralph lauren is probably a new brand for me, but when I saw their aviator sunglasses range I was literally impressed and decided to give them a try. 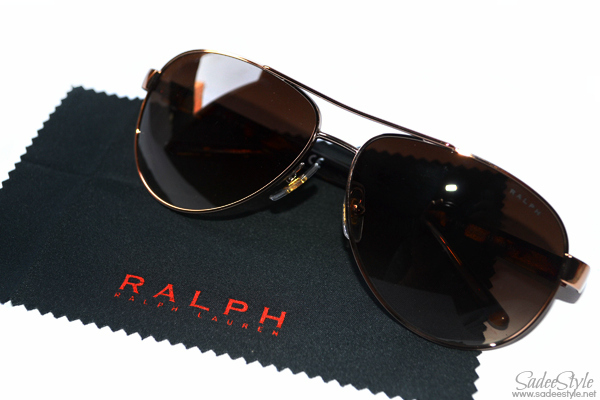 There are many shapes are available in Ralph Lauren's range, but what I believe Ralph Aviators would suit me best and will look better on my round face. I did some research on the brand behind the sunglasses. Ralph lauren is a brand of American designer he launched his brand back in 1999 aimed at women between 16 and 25, Ralph captures the energy and passion of young woman today and in its sunglasses collection Ralph injects chic into every frame. While contemporary and unique designs feature throughout, Ralph is a range of premium eyewear that also showcases the main label’s polished image and American foundations. It has helped Ralph Lauren become a global name throughout fashion, fragrance and accessories. 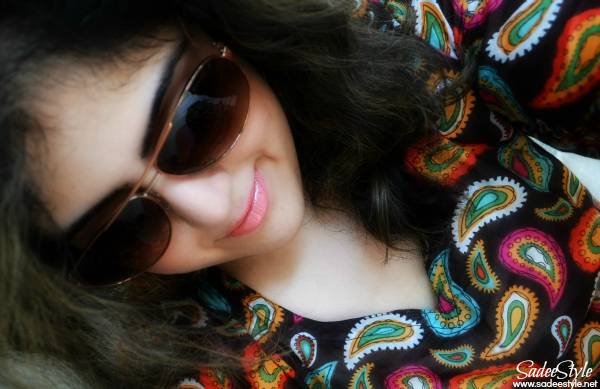 I have owned a very few pair of sunglasses. I don't buy expensive glasses often because I seem to break sunglasses pretty regularly. Well I'm very pleased with this pair of Ralph Lauren. These fit better, look stylish and size is just so perfect and very comfortable. I have an average size round face usually frames are very big for my face. I love this frame comes up with very right weight, perfect shape and quality is just so awesome. I adore the super fast delivery by sunglasseshop. I got my glasses just in two days right after posting from uk. I Found them more beautiful than the images posted on the website. These are expensive, but great quality and amazing value. Really you're looking very nice in this pair, in fact its suite your personality. Moreover this is very important that your wear only those sunglasses that suite on your face and personality visit online designer eyewear shop in UK.